A few months back Blogger announced that they will be providing an option to integrate their Google + Profile into Blogger. This was available only on the Blogger in Draft Dashboard. Now it has rolled out of draft and is available for everyone. If you have a Google + Account and you are using the same Google Account for Blogger, then you can easily make the switch. Your existing Blogger Profile will be replaced by your Google + Profile. If you are adding an About Me Gadget, the Gadget will show your Google Plus Profile. Similarly the comments that you make on other blogs will link to your Google Plus Profile. 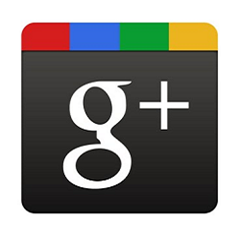 If you connect your Blogger Account to G+ , then you will have an option to easily share your Posts to Google +. Whenever you publish or update a post, you will be prompted to share your post on Google Plus and you can share your post In a single click. This feature is only available in the new Blogger Interface. So if you are still using the Old UI, this might be a good time to switch. As of now this sharing prompt will only allow you to share the post to your Public Profile. It would be great id Blogger could post to the Google Plus Brand Pages as well. That’s all about the list of features and the Blogger team will be adding more and more Google Plus integrations. I am unable to find About Me widget. Was happy to read articles from the master, the article is really a great help to beautify my blog. THANK YOU.